You see I believe what the Bible says about love, a Corinthians kind of love. Nowhere does it say love is easy, to the contrary love is hard and often times painful. In order to love you have to be susceptible and openly expose your heart to attack. I believe love is patient and kind and all too often it is hard to be either one of these things on a daily basis. It doesn’t envy or boast but we see examples of this around us every single day. It isn’t arrogant or rude but we are bombarded with these things constantly. It is not irritable or resentful; it does not rejoice at wrongdoing, but rejoices with the truth… even though you wouldn’t know it if you watched the news. Love bears all things, believes all things, hopes all things, endures all things… I want that! Love never ends. In Yousef’s words, “Love is simply the act of surrendering yourself to another person completely and unwaveringly because life without surrender would be unfulfilled”. I believe in the version of love the Bible defines; and because I believe it is as rare as any treasure we can ever hope to find, I am hypnotized by pictures that portray it like the one above does. I asked Yousef to tell me about the love his parents shared. I doubt he realized his words read like a Disney story where love overcomes all adversity. They were from two different worlds. She was an American Christian and he was a Persian Muslim. Their love could not be contained within or defined by religion. Their love was more than their cultural backgrounds or the idea of race. Nearly 30 years together and they are in the process of saying goodbye. 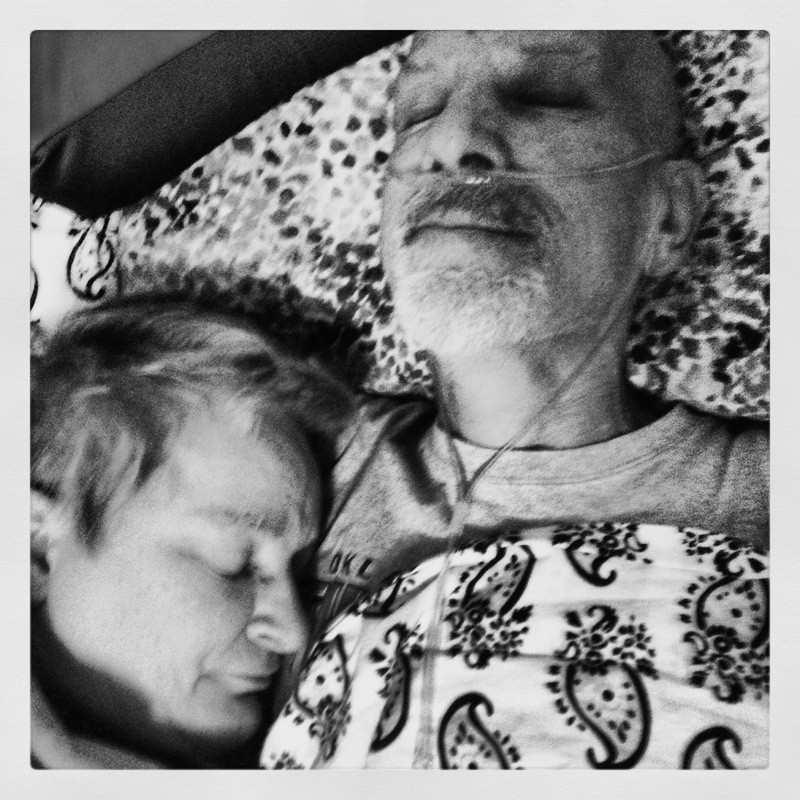 He has cancer and she is adhering to the vows she made to him all those years ago to stay in sickness…until death do you part. It is overwhelmingly heartbreaking to actively lose a little bit of somebody everyday especially; someone you LOVE. Somehow she has the strength to make each kiss and each embrace count. She has the courage to love in every way possible knowing that it will make the departure even more sorrowful and painful. You see this is how you know it is LOVE because she is patient and kind and full of strength despite living through one of LOVES most painful side effects. I do not know his parents personally but I know Yousef and he is the most joyful, loving person I know. His parents somehow birthed a child with a heart bigger than most I know. Because he is not selfish and because he is not afraid to love he is in for his share of heartache. What he doesn’t realize, perhaps, is that he is being trained to withstand any heartache that comes his way. I believe we all have bits and pieces of this kind of love, we play around with it, sometimes abuse it, and very often we take it for granted. We need to be reminded by photographs like this one what LOVE truly means. Understanding love starts from the inside and works itself outward. Love isn’t always passion felt kisses, it isn’t always running hand in hand in the rain, it isn’t always beautiful and happy; it is at times horribly gut wrenching. But it is what makes life worth living. In the end love is not represented by pristine beauty, it is found in the scars of the well-worn and barely recognizable teddy bear. Death opens a door out of a little, dark room (that’s all the life we have known before it) into a great, real place where the true sun shines and we shall meet. Yes, that kind of love is what makes life worth living. I am tremendously blessed. Beautifully written. Love is the most amazingly wondrous, soul crushing intangible thing. I think those who are truly able to open themselves up to experience love and are willing to accpet the pain that so often accompanies this emotion are truly blessed. A poignant example and well-shared! I love your writing. You give me strength to continue my writing. Thanks! What a beautiful post, and lovely family. THIS is absolutely LOVELY!!!! I shared it on my blog because it is something I feel EVERYONE should read. This touched a VERY SPECIAL place in my heart. You see…..last year (5/27/11), I lost my grandfather to lung cancer. He was the BEST MAN I ever knew…..and I was GRANDPA’S GIRL….his SUGARPLUM….in EVERY SENSE of the word!! 😉 But the most AMAZING thing, I felt….the most respectable and admired aspect of he and my grandmother…….was that MY GRANDPARENTS WERE MARRIED *55* YEARS up until the cancer took him! My grandma was born in 1936…..she started going out with my grandfather when she was 14, he 17……. THEY HAVE BEEN TOGETHER EVER SINCE!!!!! To find a true love like this blows me away…..with divorce rates so high and all……and it is sad that it seems as if our society has (for SOME REASON) lessened the value of TRUE LOVE……. sometimes I wonder if it’s just in fairy-tales or a Disney movie…….and I wonder if society as a whole has possibly given up on love altogether. If THAT is the case…..we are in for a RUDE AWAKENING because there is no life with love….. I, honestly, appreciate you stopping by and taking a glance at MY blog!!!! It truly means the world to me!!! When I first started blogging….I thought I wouldn’t get ANY followers…..and now I have 45! lol! It’s probably a small number to most, but each person that reads my stuff means something to me! =} Ok……I’m rambling…..sorry. You wrote this very well and as I’m in the midst of a divorce that is about to end. I can surely relate to your words. Thanks for stopping by my blog. Wow! What a beautiful touch of the heart. Thank you for making my spirit smile and for talking about the truth of love.. what it is in sickness and health. It was a kind of compliment. I kinda know who he is. I rarely read story books though. There was an excellent children’s TV series of the lion the witch and the wardrobe in (I think) the early 1990’s or late 1980’s. It was one of the first British TV programs to use animations. You opened and closed with whom I feel was the smartest Christian writer ever, and still you outshined him with this post! Love endures. I just love him so this comment totally warms my heart. Thank you so much. I love your blog and thank for your encouragement to me as I start mine SO I nominate you for the Sunshine Award! B. Accept the nomination and link back to the nominator. The Nominees: Nominate ten other blogs and inform them of the nomination. Today I wish to Reblog a wonderful post from Hastywords! She is a truly amazing Poet and Writer! Please read her! ^^^ the velveteen rabbit thing. That.